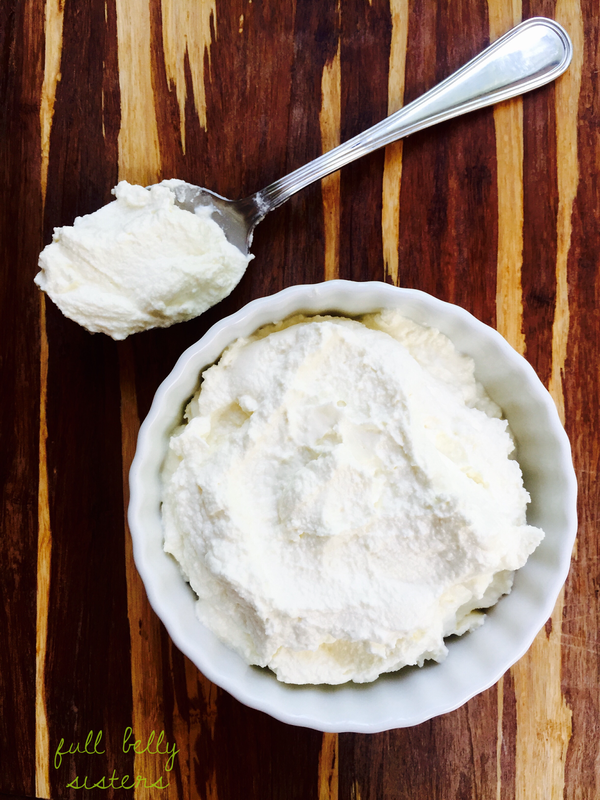 Creamy, versatile, and incredibly easy, my homemade ricotta is a great refrigerator staple. Plus, making cheese at home makes you feel like some kind of kitchen magician! You may have noticed I'm obsessed with ricotta. I have about a million posts that feature it—and, frankly, I haven't even shared half the recipes in which I use this creamy, delicious cheese. Yes, it's wonderful on crostini and as a base for ice cream, but I also scramble it into eggs, plop a dollop onto a hot bowl of pasta with tomato sauce, or mix it into dips to add richness. 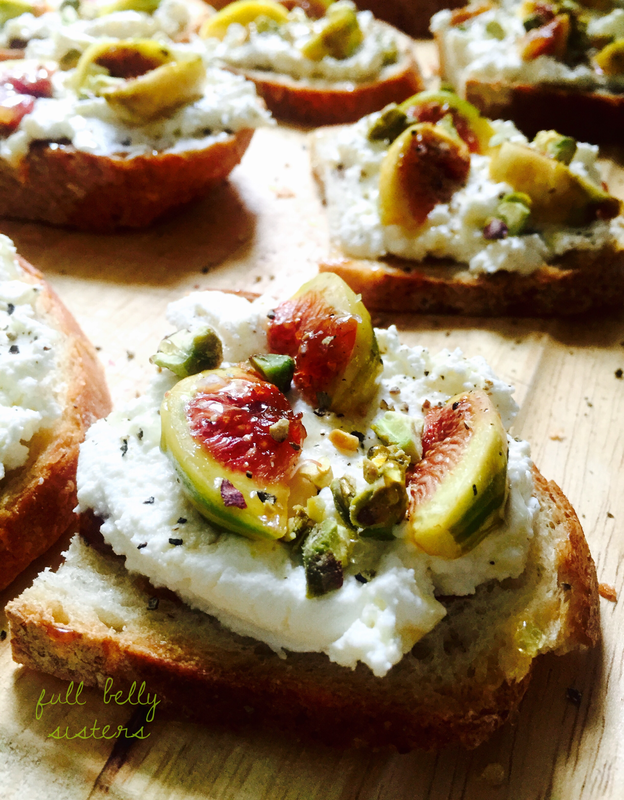 Ricotta is a wonderfully versatile ingredient that works well in both sweet and savory dishes. 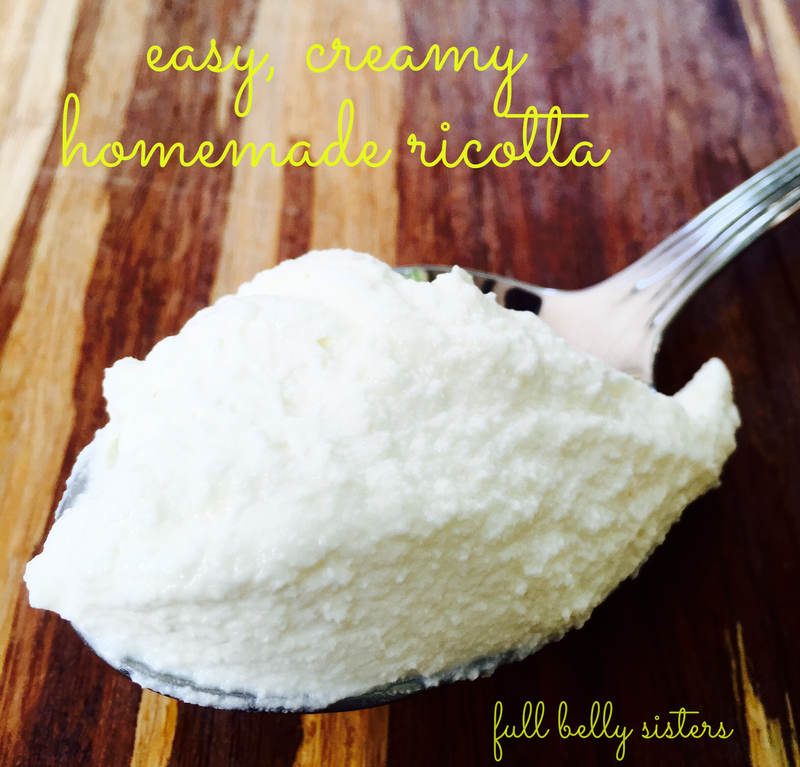 And, if you love ricotta, you will really love easy, creamy homemade ricotta! Let me just say that true ricotta is made with whey; this version is a homemade shortcut. Set a large mesh colander over a deep bowl that will catch the whey. Dampen two layers of cheesecloth —you can also use a reusable nut milk bag, if you have that—with water and use it to line the colander. Pour the milk and cream into a non-reactive pot. Stir in the salt. Bring to a full boil over medium heat, stirring occasionally. Keep an eye on the mixture! Boiled-over milk and cream will make a mess of your stovetop (sadly, I know from experience). Turn off the heat and stir in the lemon juice. Allow the mixture to stand for one minute until it curdles: it'll separate into curds (thick and cheesy) and whey (watery and milky). Pour the mixture into the cheesecloth-lined sieve and let it drain into the deep bowl at room temperature for 20 to 25 minutes. I like my ricotta quite thick, so I let mine drain a while. 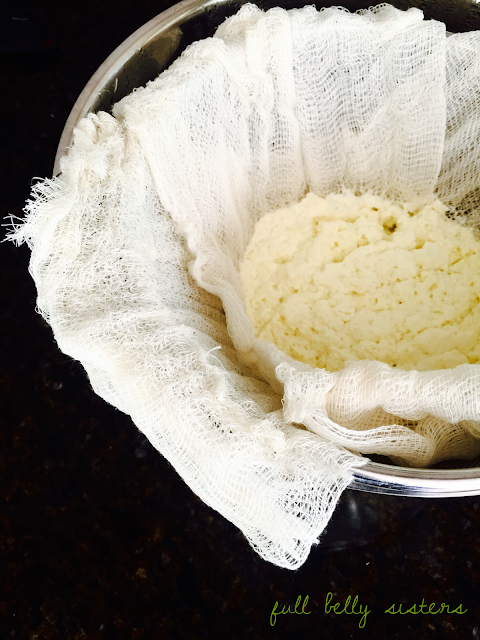 Discard the cheesecloth; save the whey for breadmaking or pancakes, or even to add to smoothies. The ricotta is done. However, I love to kick up the creaminess and smoothness a tiny bit more, especially if I'm using the ricotta for crostini. I place the ricotta into a food processor or mixer with a few extra tablespoons of cream and process or whip it all together. Sheer, smooth, creamy, bliss! Eat the ricotta right away or put it to an airtight container and refrigerate; it should last at least a few days. How will YOU use your homemade ricotta? i love ricotta! i think anything homemade is better! This ricotta looks very yummy. I used to work at Olive Garden, so this looks really good. Thanks for sharing a great recipe. You're very welcome, thanks for taking the time to comment! This is definitely on my to do list. You have made it sound so easy. Show me some ideas for using the whey? These dishes look awesome but it doesn't look easy enough for me. I would probably mess it up. Been meaning to try this myself for ages, really must give it a go, thanks! Easy, Cheese...Love it. On my "to do" list. Paneer is made the same way. So delicious!